Why change the Pure Echo? Our main focus at My Green Mattress is not only to provide a healthy chemical-free mattress, but to also make it as comfortable as possible. Last year we upgraded our inner-spring unit to a posturized coil system to contour to the body better. This along with our ticking fabric made a bit firmer mattress. Well, with some customer concerns and product research, we felt it was time for a change! 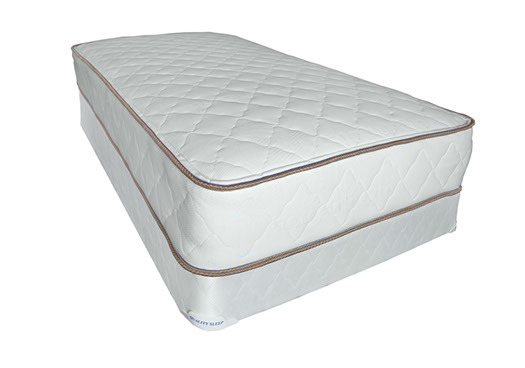 After numerous tests working with our fabric distributor and adjusting our quilting pattern design, we managed to gain an ideal soft sleep surface while maintaining the proper support underneath. And yes, our beds still are made with organic cotton and natural wool. Which means no flame retardant chemicals are needed. We are so excited here and know you will enjoy a new Pure Echo in your household!